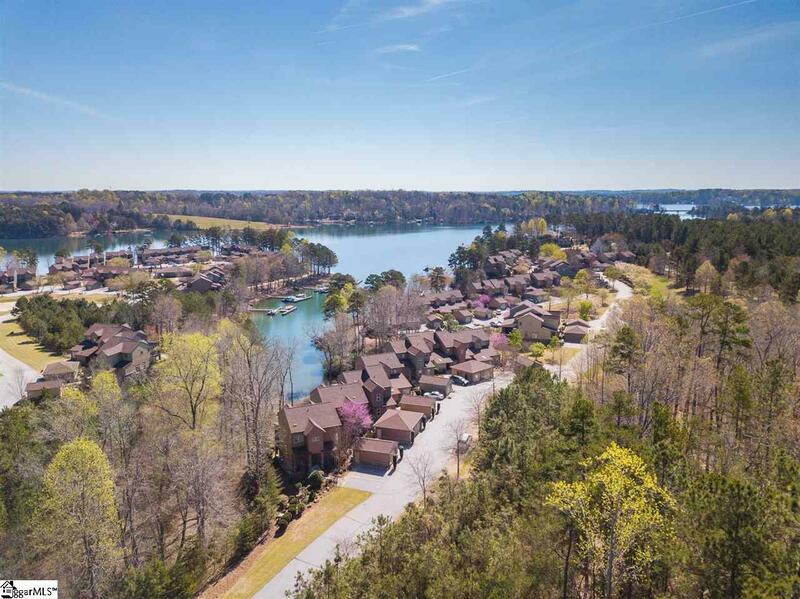 Welcome to Stoneledge a gated luxury townhome community on beautiful Lake Keowee. Enjoy maintenance free living with an abundance of amenities. 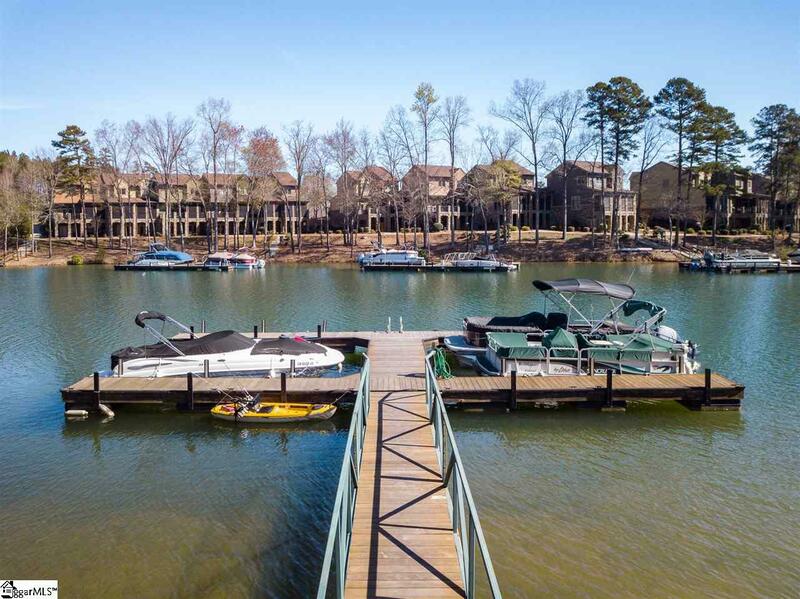 This end unit gives you privacy like no other siding up to the peaceful wooded Duke Energy environmental area with bubbling stream, Lake Views, 2 parking spaces and deeded Boat slip #17. Walk into an open floor plan looking all the way through your dining room, living room and enclosed porch to the Lake. The Hampton floor plan comes with 2 bedrooms, 3.5 bath, a downstairs recreation room, an all-weather enclosed porch and one car detached garage. Upstairs boasts a large master suite and guest bedroom with private bath. This model has the largest master suite with walk-in closet, lake views, dual sinks, separate jetted tub, shower and linen closet. 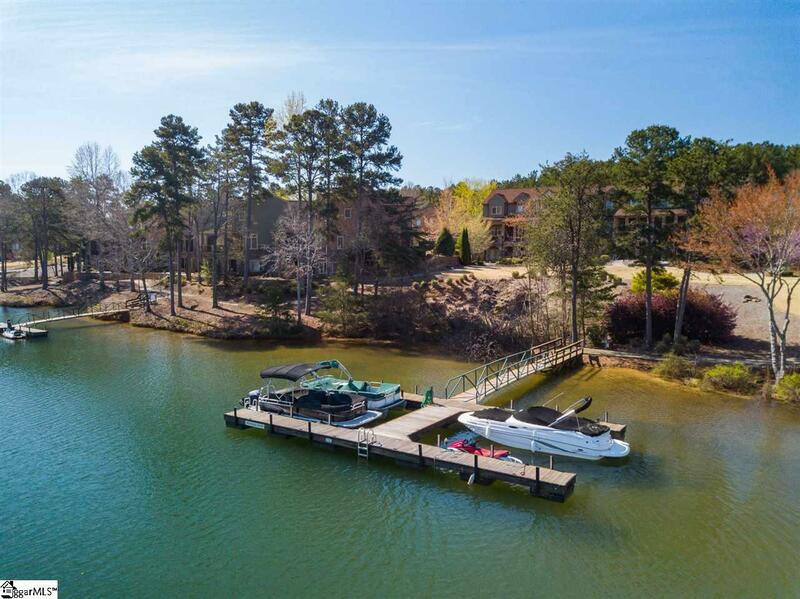 Travel downstairs to your entertaining space w/full bath, kitchenette, laundry room, storage and walk out patio for grilling and enjoying even more lake views. 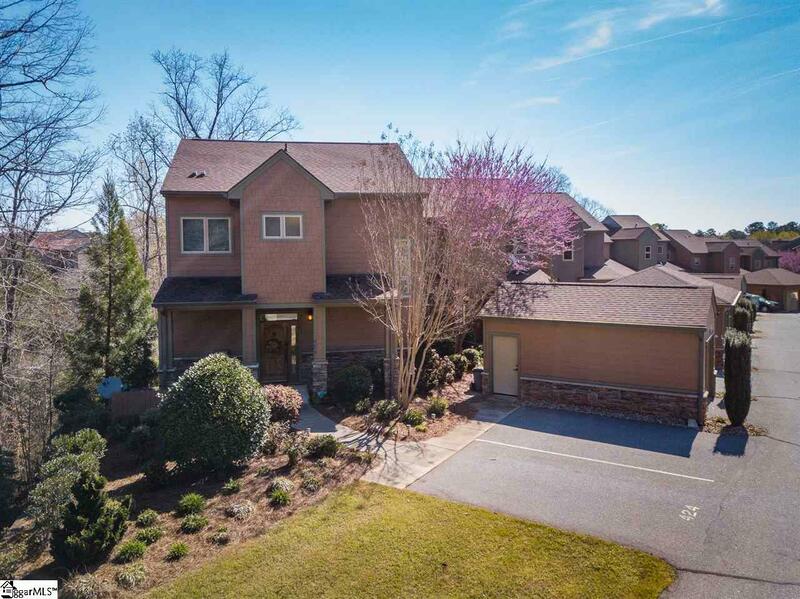 Stoneledge amenities include; Walking trails, tennis court, pool, clubhouse and fitness room. Just around the corner is Crooked Creek RV park with boat ramp and gas pumps.